The Foodie Family went on vacation! (Follow the links so you can check out all these wonderful places) This beautiful island is just off the coast of St. Martin. We stayed in a lovely villa, Bellavista, overlooking Sandy Ground. The view from our veranda was amazing! In the morning, there was sunshine and blue water and at night, boat lights and breezes. We were in heaven! There were so many beaches to discover that we went to two beaches a day! (one day three!) There are so many things to consider when you are choosing your beach. One thing is swimmability. If there are too many rocks or waves, then swimming may be dangerous and we would just wade in the water. If there are too many people, then it can feel too “touristy”. If it is too remote, then what do you do when you want a drink or food? So we divided our time between each. Though truth be told, we only encountered the tourist problem at Mead’s Bay and Shoal Bay East. 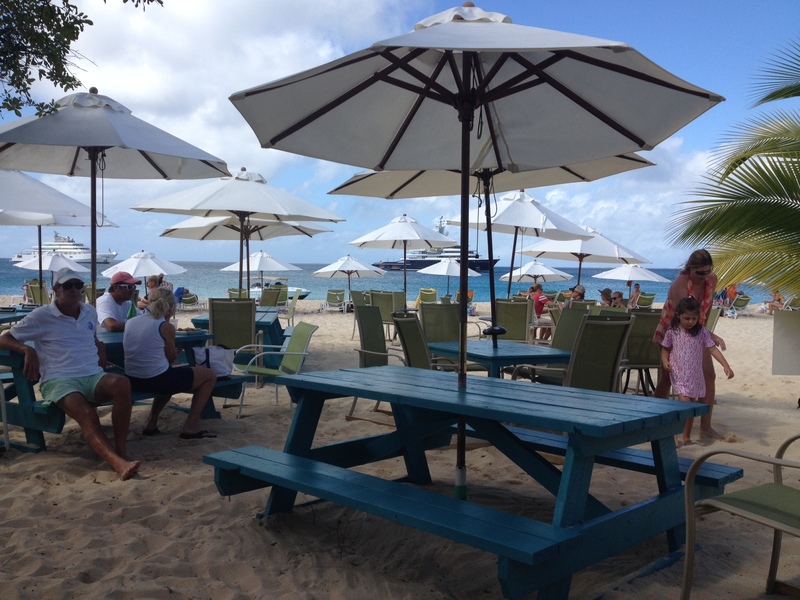 Our favorites were Rendezvous Bay at “The Place” and Junk Hole at “Palm Grove”, also known as Nat’s Place. You can see a distinct difference! Junk Hole was out of the way. We traveled a bumpy dirt road to get there and found the most wonderful, fresh Johnny Cakes and cold beer. 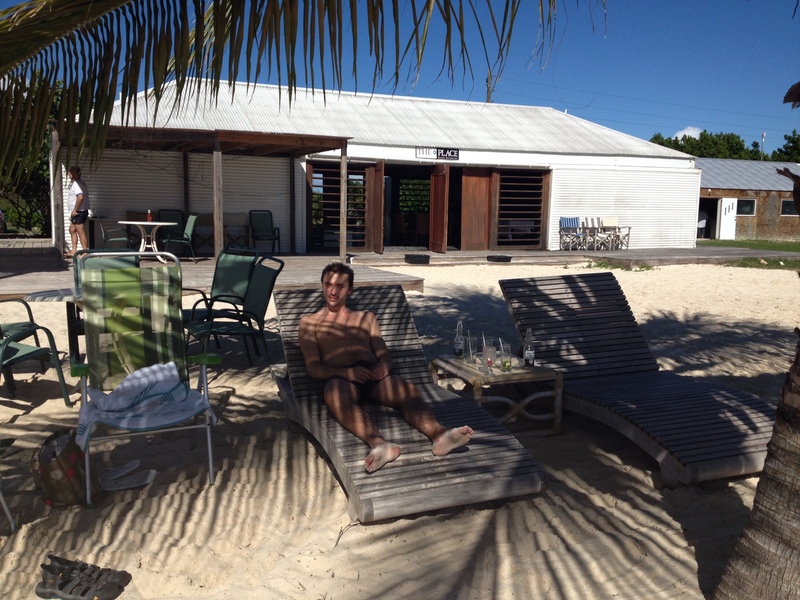 Nat was a wonderful host and we enjoyed chatting with him before we set up on this deserted stretch of beach. The Place was easier to get to, but still required us to venture off the pavement. This place provided the umbrellas and chairs, which were essential items for the baby we had with us. Also, they served you on the beach, which is a level of service that really says “vacation”! Because we rented an apartment, we did a bit of cooking at home. However, it really was simple and limited to a whole grain and vegetables which we either roasted or sautéed. 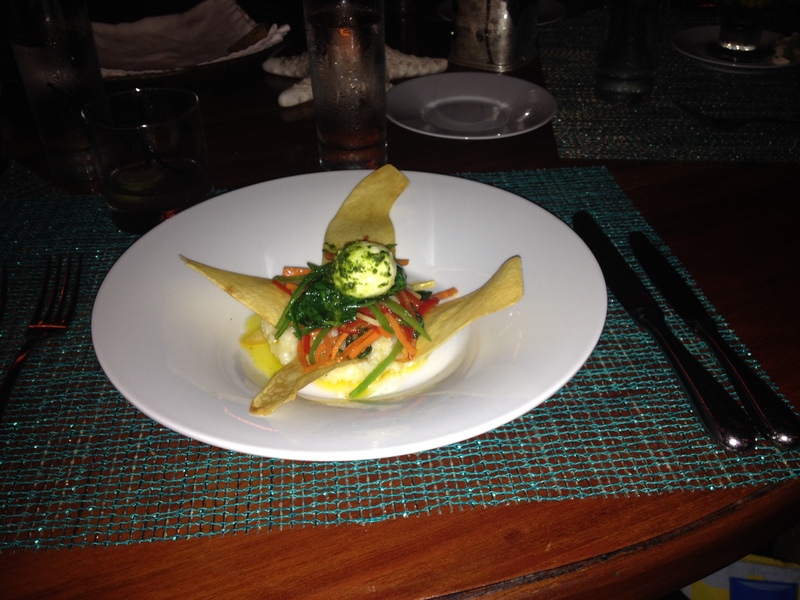 Our best meals were at some of the wonderful restaurants that Anguilla hosts. 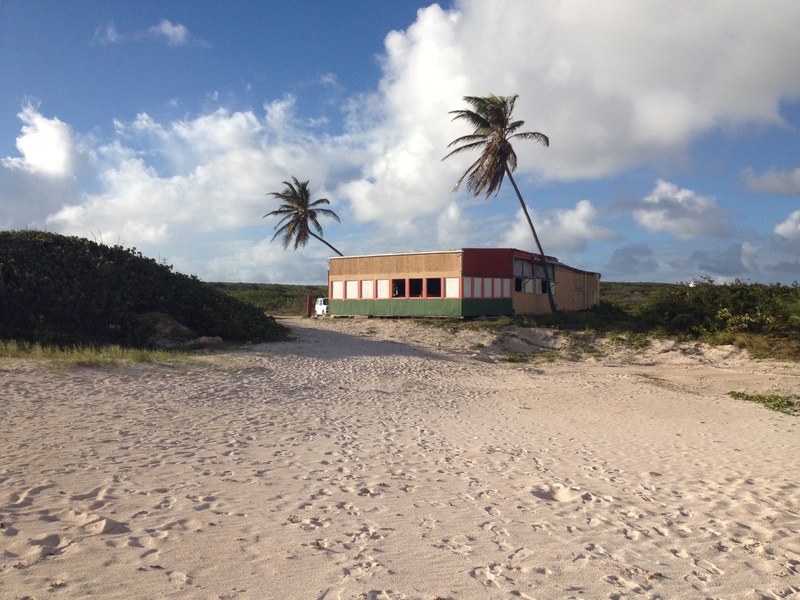 We enjoyed the extensive lunch menu at Blanchard’s Beach Shack as there was something for everyone there. Particular favorites for us were the BBQ Pork sandwich, the Rice Bowl and the Quinoa Burger. 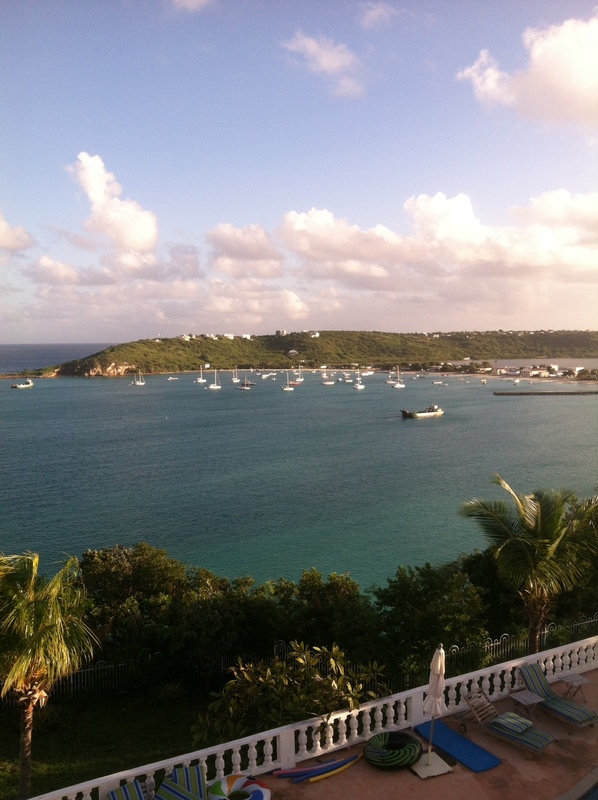 The Straw Hat had a lovely view of Mead’s Bay and equally good food. The Pumphouse was perfect for a casual dinner of pizza and beer. But our two favorite places, for food and atmosphere, were Poker’s Plank and Veya. Poker’s Plank is owned and operated by the lovely Doreta. 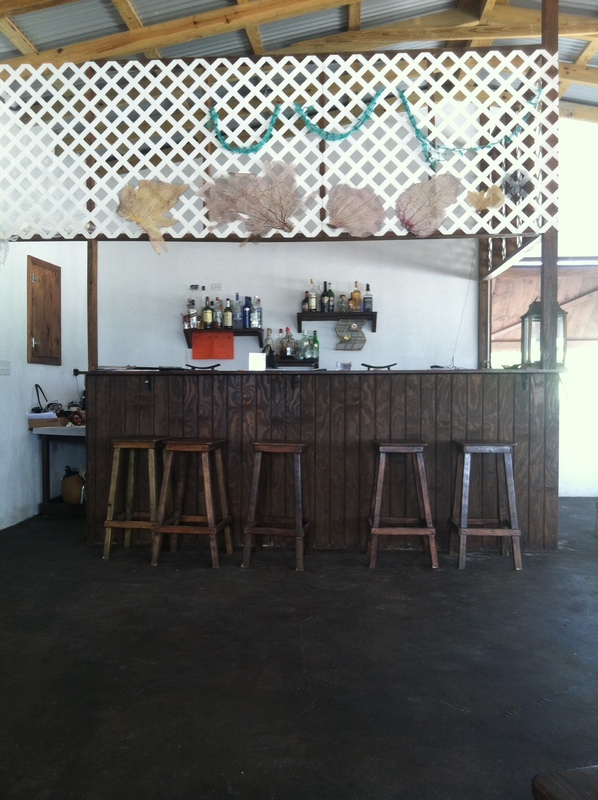 We met when we stopped in for lunch one day to take advantage of good food and affordable (off the beach) prices and were pleasantly surprised at how good the food was. Doreta showed me around and told me the story of naming her restaurant after her father who loved the sea. She had the building shaped to resemble a ship so she could “sail the ship” for her father. It was very touching. Also, you can see the water from the “bow”, so we decided to go back for dinner in hopes of catching a sunset. 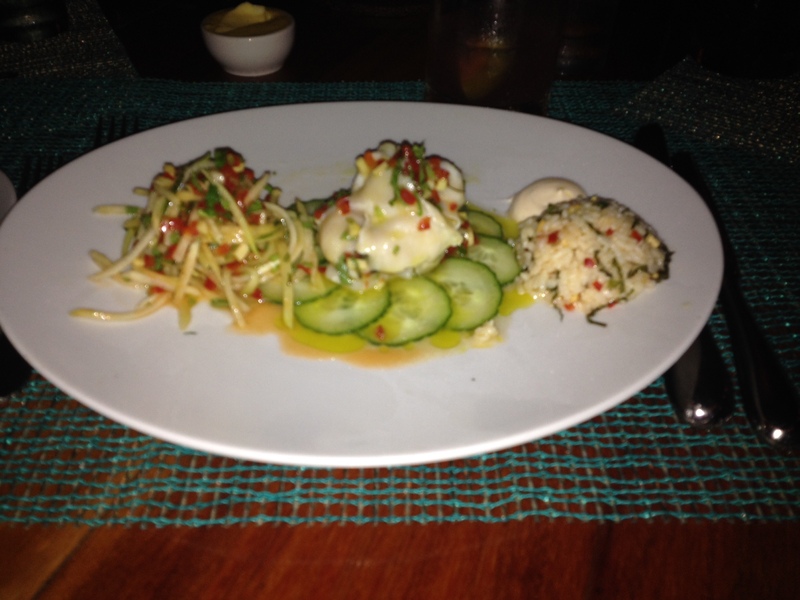 Well, we missed the sunset, but we did enjoy some of the freshest, best fish of the week. It took a while to get the meal because everything was cooked to order. But is was delicious. We ended the meal with a shot of Doreta’s special “Pirate’s Brew”, vodka infused with lemon grass and herbs! 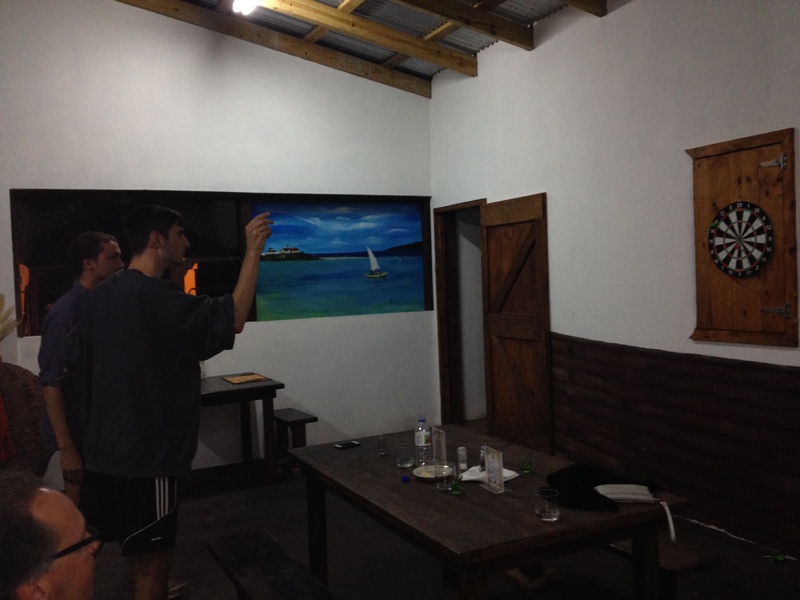 Later in the week, we went back and played some darts (with our own rules)! The last meal was at Veya. We waited until the end to go to what was rated “the best” restaurant on the island so we wouldn’t be jaded for later meals. Yes, it was wonderful. And it needed to be considering the price tag! But heck, we were on vacation! So now I’m going to be a little picky because of that. The atmosphere was lovely, but the veranda was rather narrow for the size of the table and you had to squeeze around other patrons to go anywhere. We had the baby with us (who is an angel, by the way) and they were lovely about that. The drinks were excellent and they accommodated my particular taste for low-sugar tropical drinks very nicely, so clearly they are not using any mixes. The bread plate looked more like dessert than an appetizer, with sweet quick breads along with the local Johnny Cake and it lacked any specialty spread or dip. We were not really impressed. Our appetizers were wonderful and now we see the presentation was what really put this place over the top. Every bite was a blend of taste and texture. The desserts were beyond beautiful and left us feeling satisfied and happy we were able to enjoy our last meal on Anguilla at such a wonderful restaurant!